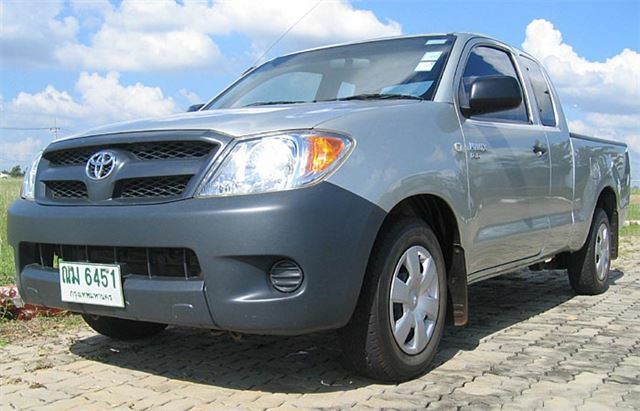 I don’t know about you, but though the new Toyota Hilux was officially available in the UK from October 2005, I have yet to see a road test. 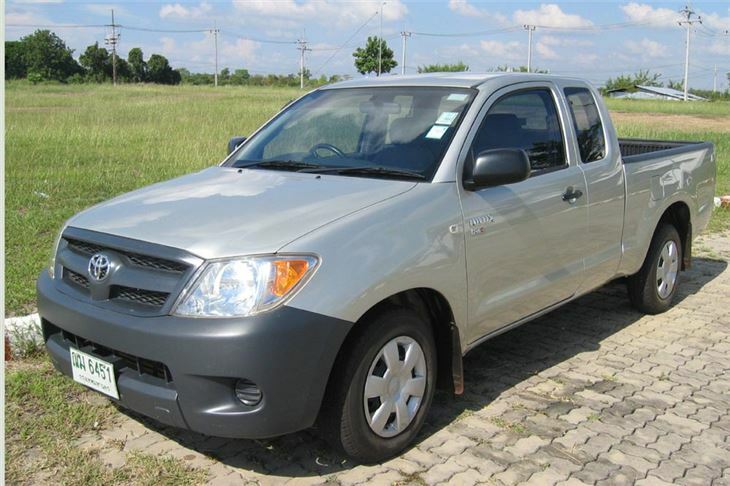 It was launched in Thailand, to much excitement, as the Hilux Vigo, in August 2004 and there have been independently imported 163bhp 3.0 D-4Ds. But, partly because of EU emissions regulations, and partly because UK RHD Hiluxes are sourced from South Africa rather than Thailand, the UK has to make do with officially imported 102bhp non-intercooled 2.5s. Later, there will be a more powerful intercooled 2.5. 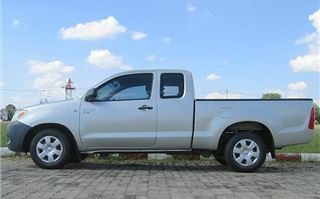 And I find it very hard to believe that with opposition such as the 173bhp Nissan Navara and 145bhp Isuzu D-Max 3.0 I-TEQ we won’t eventually see a version with Toyota’s long established 3.0 163bhp D-4D. 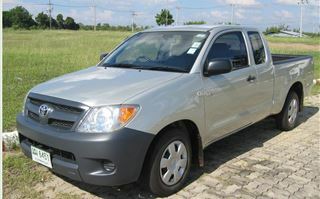 The Hilux one of the World’s most popular vehicles, built in 9 countries with 12 million sold in 164 markets. 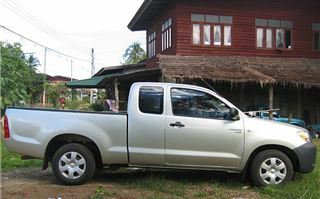 Obviously the USA is the biggest market in the World for pick-ups, but Thailand, where most mid-size pick ups are built, is the second with around 400,000 sold every year out of a total vehicle market of 700,000. 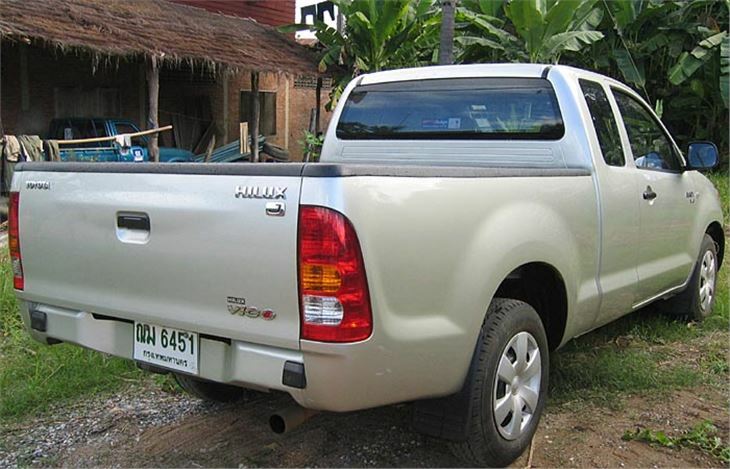 Toyota warns that Thai market Hilux Vigos may not have standard ABS, only have a drivers airbag on top of the range models, do not have passenger airbags, do not have seatbelt pretensioners, do not have child locks on rear doors of double cab, do not have rear centre headrests, have softer suspension on double cabs, less anti-corrosion protection and, since Thailand averages 25 degrees centigrade, have no heaters. Nevertheless, I took the ‘risk’ and hired one in Thailand. A base, non-intercooled 102bhp 2.5 J ‘Extra Cab’. That cab style is not on the UK line-up, but the vehicle itself was bound to give a decent impression of what UK 2006 Hilux models are like to drive. 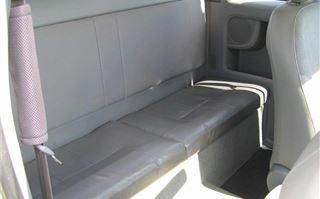 The ‘Extra Cab’ version I drove is big, but not intimidatingly so. ‘J’ is the most basic spec with lots of grey plastic, plenty of gaps in the dash and no central locking. It even had wind-up windows and mirrors you have to push to adjust. 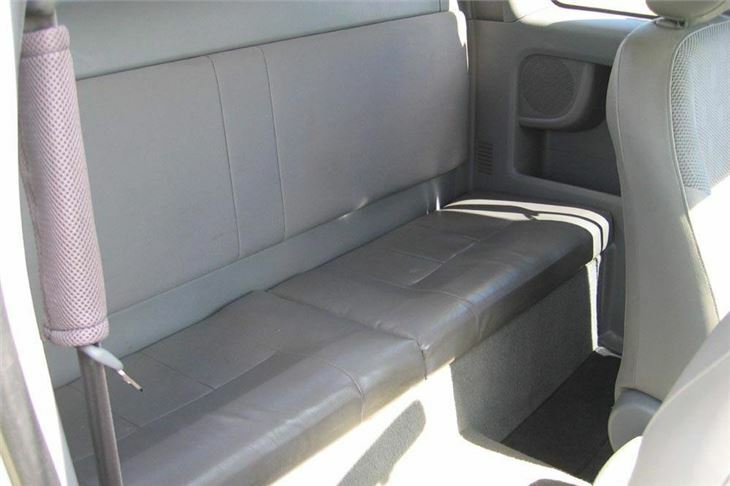 But the cloth reclining seats were comfortable. 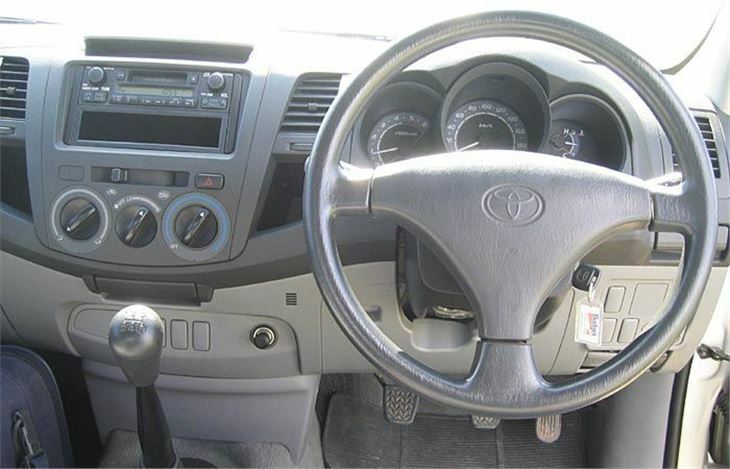 And, like the previous Hilux Tiger, the clutch, gearbox and steering were all light and pleasing to operate. You soon learn there’s no point in hurrying the 2.5 off the line. That merely makes it raucous, unpleasant and still slow. But the engine has plenty of low-down torque maximised over a wide spread between 1,400 and 3,400rpm. So the technique is to get it rolling without worrying about beating anyone else from the lights. Then, once you’ve built up a bit of momentum and got the engine running at maximum torque it becomes decently lively. It’s happiest cruising at 60. Yet ask it and all of 100mph is actually available. Sure the back bounces around like a cart-sprung truck, mainly because it is a cart-sprung truck. But the double wishbone front suspension and those clever rear dampers mean the handling and roadholding at speed are surprisingly good. Enjoyable, even. On my fairly brief run of 260 kilometres Phitsanolok-Sukkothai-Si Sichanalai and back, plus a minor excursion, I got 28.5mpg brim to brim on Thai Shell diesel. 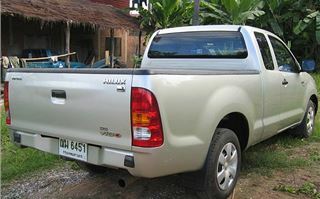 Buzz Toyota have the Extra Cab model I drove at 471,000 Baht (£6,730). Thai prices start at 398,000 Baht (£5,686) for the Eco Single Cab 2.5J and rise to 860,000 Baht (£12,286) for the top model 3.0 D-4D double-cab 4x4 automatic. But you can’t compare the Thai market with the UK. There, locally built pick-ups are cheap, and you can buy a decent Thai car like a 110bhp Vios 1.5 from 467,000 Baht (£6,671). But a new E60 BMW 525iSE is well over £60,000.